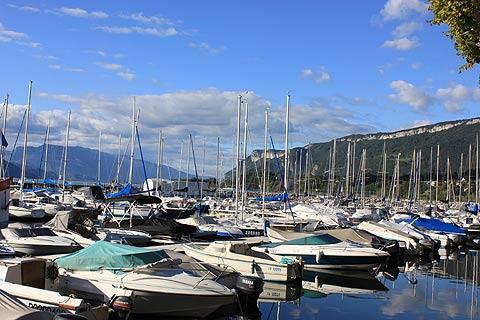 The town of Aix-les-Bains is located in the low Alps to the north of Chambery, on the eastern edge of the Lac du Bourget and overlooked by Mont Revard. Aix-les-Bains is one of the best towns in France for seeing the architecture of the Belle-Epoque with many fine examples from the period and there are some interesting Roman ruins and artefacts to see, bearing witness to the towns long role in the region: these include the Temple of Diane and the Campanus Arch. 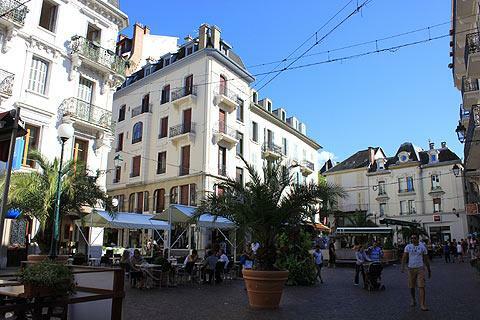 France This Way comment: Aix-les-Bains is a very attractive town and well worth a visit if you are exploring the area. 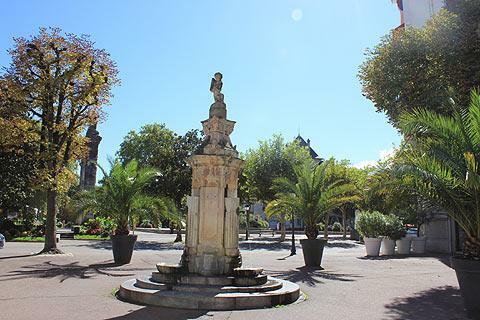 Much of its interest dates to the 19th century, the most prosperous era in the town's history and the time that Aix-les-Bains revived its Roman role as a spa town. 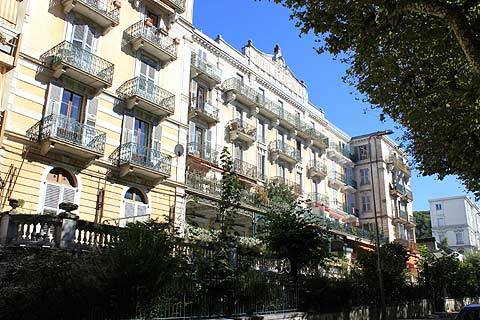 Wandering around Aix les Bains you will see lots of wonderful buildings dating from the Belle Epoque. 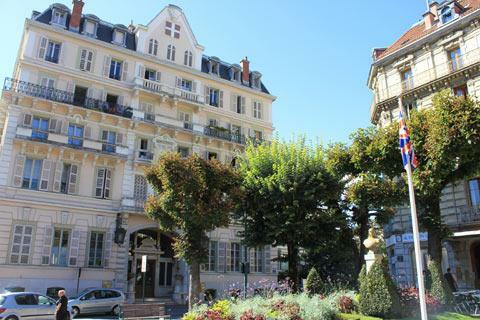 With the revival of spa towns in the late 19th and early 20th century many grand hotels were built as well as the spa baths, the Casino and the Chateau de la Roche du Roi. (The chateau is on the hillside above the town, and is in a curious melange of architectural styles that I won't even try to describe!). Start your visit at the Ancient Thermes, the Atrium, that were built in 1776 then enlarged in 1854 and 1932. 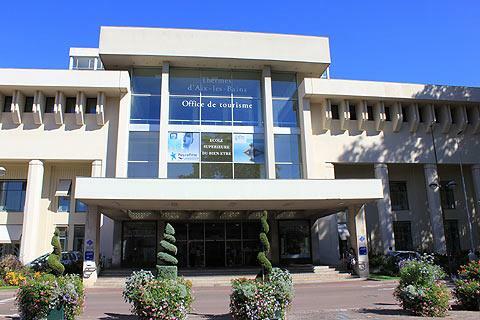 Their dominant style is of the Art Deco era and the large hall of the Atrium now houses the Aix-les-Bains tourist office. 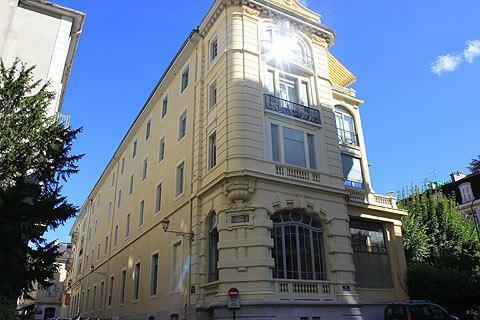 Another wonderful building in the Belle Epoque style is the Grand Cercle casino, that positively sparkles in the sun. The interior decor contains lots of mosaics, sculptures and large glass windows and you can see the wonderful mosaic ceiling and a theatre in the French Romantic style. In the Place Maurice Mollard opposite the Atrium, the Arc de Campanus is a roman funeral arch which is nine metres tall: the stone arch was built in the 1st century. Its exact role is not known but it is thought to be either an entrance arch to the Thermes (Aix was a Spa town even in Roman times), or a victory arch or possibly even a funeral arch. It certainly adds charm and interest to the Place Maurice Mollard. The mairie (town hall) for Aix-les-Bains is housed in the ancient Chateau of Seysset, a lovely gothic castle. Next to here is the site of a Roman temple parts of which can still be seen. 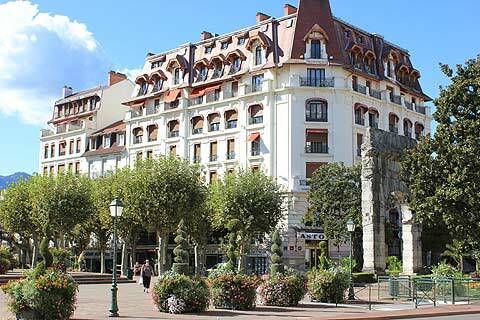 Also worth looking out as you explore the town are the wonderful old hotels built in Belle Epoque style. These are no longer hotels but private appartments and include the Royal, the Splendide, the Beauregard and the Grand Hotel. 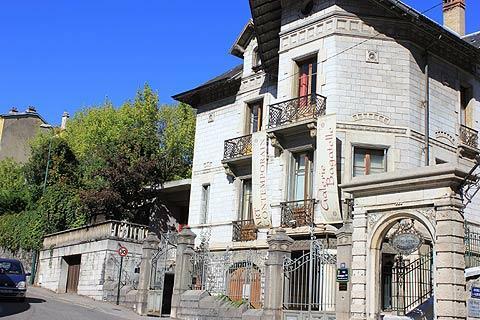 In a villa from the same epoch, you can visit the Museum of Doctor Faure to see an interesting selection of paintings from the last two centuries (includes works by Pissaro and Cézanne) and a very impressive collection of Rodin statues. 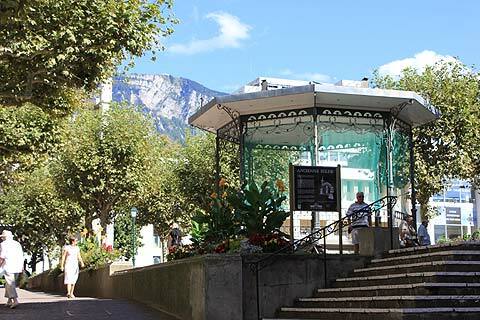 While it is still very popular as a spa town today, tourist activities are playing an increasingly important role, especially those related to activities on the lake - hence the most popular stroll through Aix-les-Bains is the pretty walk along the edge of the lake, the Promenade du Lac. The town has the largest inland port in France with beaches and numerous water-based activities from canoeing to water-skiing. 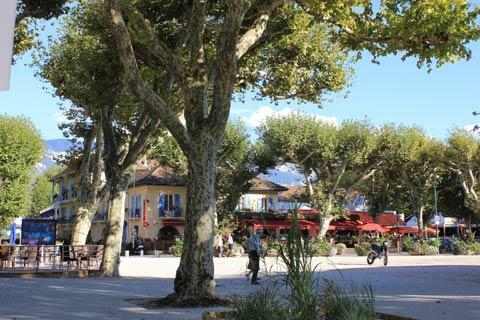 Many towns in France are classified Ville Fleurie (town of flowers) but Aix-les-Bains is one of only a few to have the '4 flowers' level of award as well as national prizes for its flowers. As part of this, there are several large parks and gardens to visit, including the Parc Floral des Thermes, the substantial Parc of Bois Vidal, and the banks of the lake. 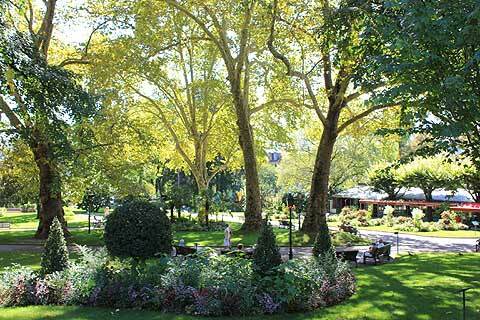 Market days in Aix les Bain are all day Wednesday and Saturday mornings. With its olive trees, mimosas and banana palms and lakeside position, the nearby village of Brison-les-Oliviers makes you feel like you have just stepped onto the Mediterranean. Also close to Aix-les-Bains, the Chatillon castle dates to the 13th century and at Bourget-du-Lac there is a pleasant garden next to a priory: the garden is classed as a 'jardin remarquable'.